1700 London had 190 breweries, producing a total of 1.7 million barrels of ale and beer. 1904 London still had 90 breweries, out of a total of 1,503 in England and Wales. It also had just one pub still brewing its own beer, although in the rest of the country there were another 3,108 home-brew pubs. 1952 London still had 25 operating breweries, run by some 19 or so companies, out of around 560 breweries in the whole of the UK. Much of the commentary about the brewery’s closure claims it was founded in 1487, when a Welshman, John Morgan, was “induced” (to use a term first used by an antiquarian writing in 1886) to start a brewery at Mortlake, supposedly to supply the largely Welsh household of the new Tudor king, Henry VII, who was to base himself at the palace at nearby Sheen – shortly to have its name changed to Richmond. It has also been claimed that the brewery sprang from a brewhouse at Mortlake Manor House, which was occupied by the Archbishops of Canterbury from at least the 11th century. But the archbishops continued to own the manor house until 1535, after which it went to a multitude of hands, before being demolished, apparently, soon after 1700. There is absolutely nothing currently known to link either Morgan or the manor house to the two small breweries recorded in 1765 either side of Thames Street in Mortlake, leading to the Town Dock, one owned by James Weatherstone and the other by William Richmond, which are the first recorded commercial breweries in what was then a small village. By 1780 Richmond’s brewery had been bought by a man called John Prior. Weatherstone meanwhile went into partnership with Carteret John Halford. In 1807 Weatherstone and Halford bought land next to the river with a frontage of 104 feet and extended their brewery premises northward. Four years later, in 1811, they acquired Prior’s brewery, merging them into one, though Thames Street still separated the two halves. Weatherstone passed on his brewery to his nephew Thomas, who carried on the partnership with Halford until he died around 1825. The business was substantial enough by now that it employed a clerk, called John Stephenson and a brewer called George Dyson, who signed the codicil to Weatherstone’s will in 1824. Halford was then in partnership at the brewery with William Topham: at one point they were “brewers to her Majesty”, according to a directory entry. By 1840 Halford was dead, and Topham had entered into a new partnership with George Streater Kempson, who looks to have been a relative by marriage of Halford’s. In 1841 Kempson and Topham’s operation at Mortlake was described as a “considerable establishment”. Charles James Phillips, son of a corn and coal merchant, became a partner in the firm in 1846, which was listed in 1849 as CJ Phillips and GS Kempson. Then in 1852, James Wigan, aged 20, the son of a hop merchant, bought a half-share in the business for £15,000, and it became Phillips and Wigan. By that time the brewery was using around 5,000 quarters of malt a year, suggesting an output of between 20,000 and 25,000 barrels of beer. In 1865 Phillips and Wigan bought the freehold of all the properties along the river frontage, for £2,350, and in 1866 they moved to shut the alleys and streets that ran through the brewery premises, including Thames Street and Brewhouse Lane. The people of Mortlake fought to prevent this, but the brewers eventually won, after a court case. The brewery was then substantially rebuilt, and a stone in the main wall still marks this, with the monogram P and W and the date 1869. 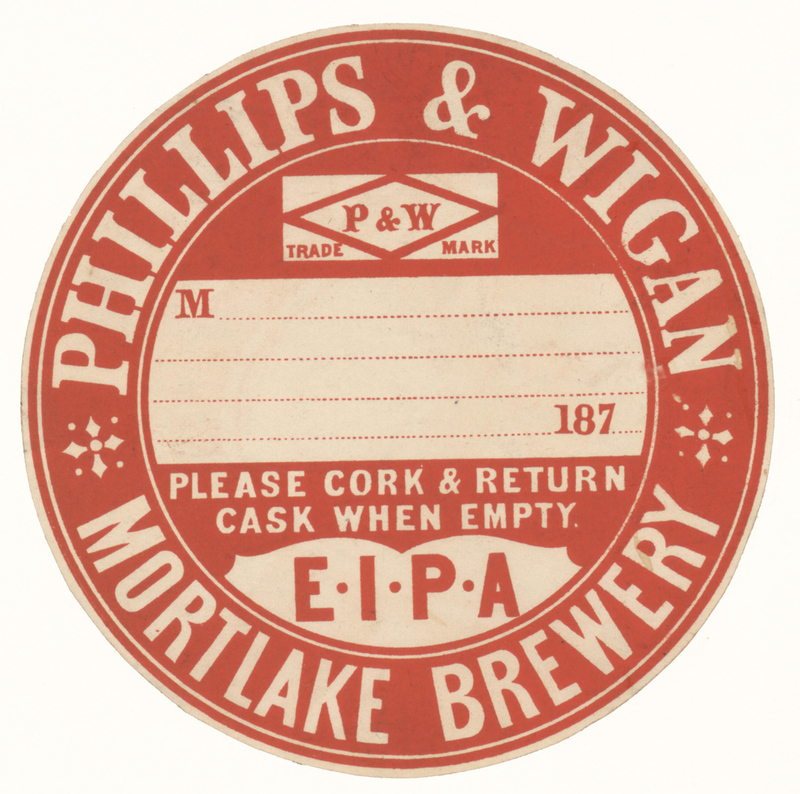 In 1876, however, Wigan bought Hawkes’ brewery in Bishop’s Stortford, Hertfordshire and although he continued to live in Mortlake, control of the brewery passed in 1877 solely to the Philips family. The brewery is often said to have “held lucrative contracts for supplying beer to the Army in India”, but if it did, it was not alone: in 1873 the India Office revealed that there were “about eighteen” of the “great London brewers” on the list of suppliers of beer to the Indian army, a trade worth 150,000 barrels a year. 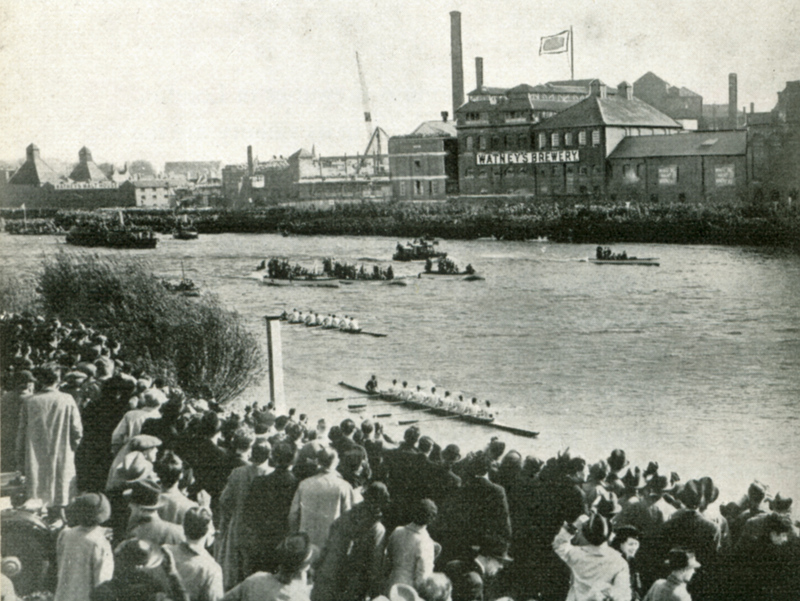 Two sets of recipients of Mortlake brewery beer every year were the crews who took part in the Oxford and Cambridge Boat Race: Charles Phillips regularly held a lunch for them at his home at the end of the race. By the end of the 1880s brewers were starting to gobble each other up as the only way of acquiring new pub customers, with, particularly in the South of England, very few free houses left. In 1889 the Phillipses accepted a takeover offer from Watney’s of the Stag brewery, Pimlico, once one of London’s Big 12 porter brewers, and two of Charles Phillips’s sons, Charles junior and Herbert, joined the Watney’s board. It was not just the Mortlake brewery’s pubs that Watney’s was after: the Pimlico concern needed somewhere that could make the increasingly popular pale ales and bitter beers, and the Mortlake brewery seems to have had a good reputation for them. For many years after the acquisition, all the bitter for Watney’s London trade was brewed at Mortlake and taken down river by two barges, called Mollie and Ann. 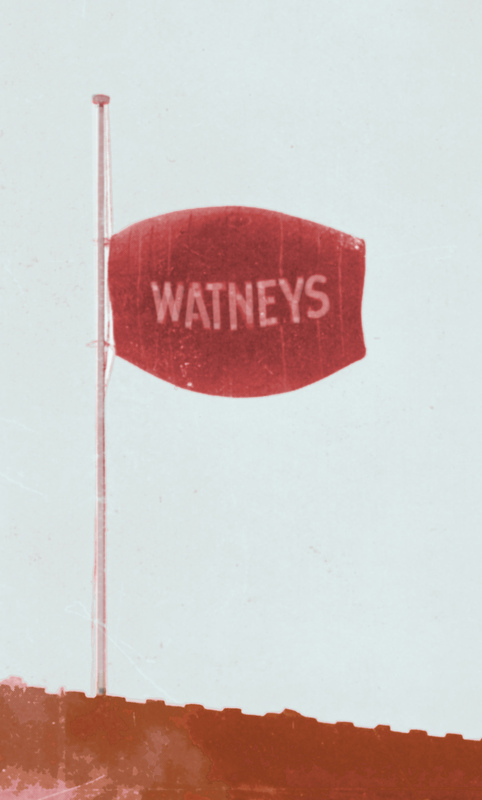 In 1898 Watney’s merged with two other long-established London porter brewers, Reid’s of Clerkenwell and Combe’s of Covent Garden, to become the largest brewing concern in London. Reid’s brewery was closed, but Combe’s ran for another six years, until the Mortlake brewery had been rebuilt enough to supply the enlarged operation, including an I eight-storey maltings built by the riverside in 1903 on the eastern corner of Ship Lane. 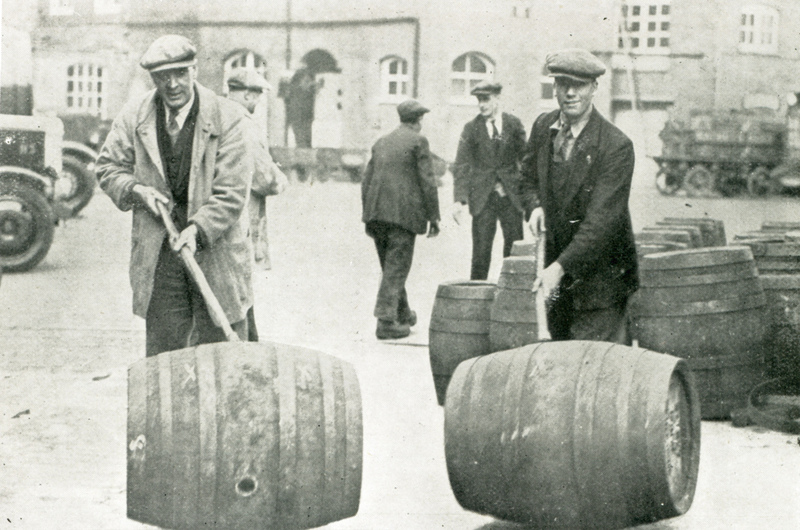 With the restrictions on beer production brought about by the First World War, brewing at Mortlake actually ceased for a while during the conflict, and the site was used for the production of (unrationed) honey sugar, sold under the Union Jack brand in cut-down quart beer bottles. In 1959 the original Watney’s site in Pimlico closed. Mortlake was still not big enough to brew all the company’s beers, and a year earlier Watney’s had taken over Mann’s brewery in the East End to ensure it had enough capacity. By 1971 Mann’s was looking old and cramped, however, and Watney’s set in train plans to shut Mann’s and expand the Mortlake brewery again. In the meantime the company decided that since Mortlake would not be ready until 1975, at a cost of £7 million, it needed to buy more capacity. It was about to bid for another East End brewery, the recently refurbished Truman’s in Brick Lane, when Joseph Maxwell of Grand Metropolitan made an unexpected move on the Brick Lane brewer. The two-month fight that followed seems to have exhausted Watney’s, the loser, so much that it succumbed itself to a bid from Grand Met the following year. 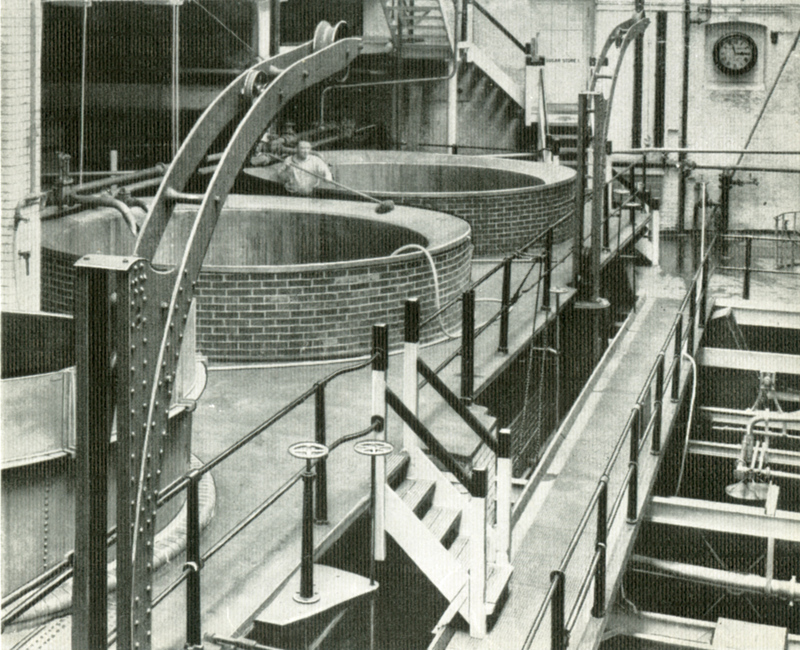 By the 1980s, under Grand Met, Mortlake was essentially a massive lager brewery, with Fosters and Holsten Export the big brands, though according to one ex-Mortlake brewer, Watney’s Special and Watney’s Pale Ale were still “reasonable” volumes, with Watney’s Pale Ale a “significant” bottled beer brand. However, automation meant that the number of employees had plunged, from 1,400 in the 1960s to just 400. 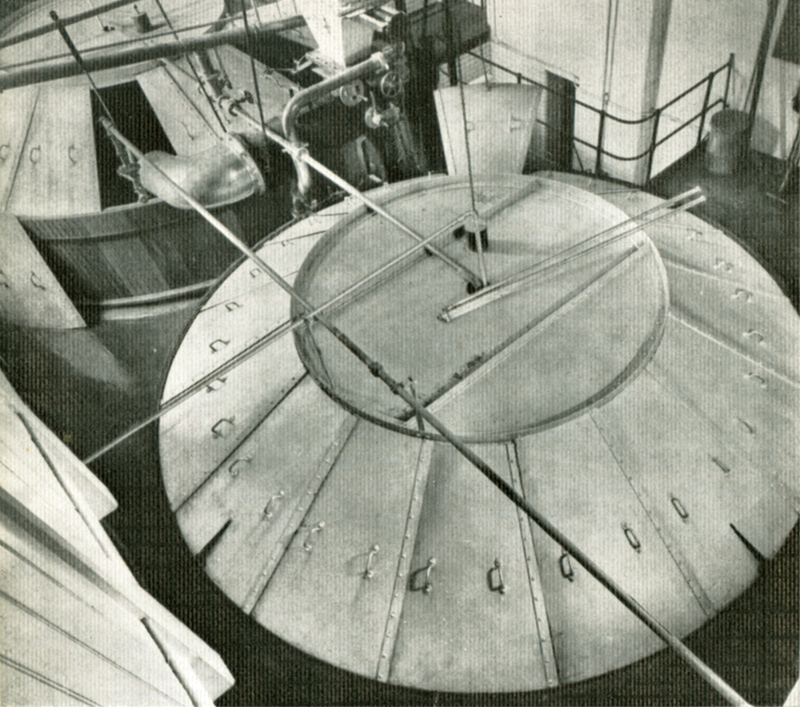 The brewery changed owners several times in the 1990s as the reverberations of the 1989 Beer Orders saw Britain’s giant brewery companies merge, evaporate or quit brewing, and in 1995 the Mortlake site, which had been given the former name of Watney’s premises in Pimlico, the Stag brewery, was leased to Anheuser-Busch to make Budweiser. It still had a capacity of a million barrels a year in 1995, though it has probably not been making more than about 650,000 barrels a year in very recent times: even now, probably more than all the rest of London’s breweries put together. An announcement that the site was to close was originally made in 2009, by which time only around 180 people were employed there, though a year later it appeared that a surprise increase in sales of Budweiser had stayed the axeman’s hand. Now, however, AB, or rather AB InBev, as it has become, which eventually bought the leasehold of the 21-acre site, has shut it down, and sold it to a Singapore-listed company, City Developments Ltd, for £158m. There are, apparently, no firm development plas yet, but one extimate reckons 850 homes could be fitted onto the site – you can see how big it is here. Great article, very informative, thank you, regards Nev.